I’ve been desperately trying to hold myself back from posting this one until now, but now it’s finally time to share our exciting travel plans with you all! I’ve hinted on social media but held back the final itinerary while we finalised our plans, but now it’s official, we have left Hamburg on a three week road trip across Europe and I couldn’t be more excited to share this with you all. Those of you who follow this blog will have seen the renovation we recently did of our Sprinter van into a camper van for road tripping – read my Vanlife post here – and now I can tell you the reason we worked on it so quickly was because we were already planning this amazing trip! The boyfriend managed to get three weeks off work and we thought, what better time to plan an epic trip before I start working and life gets a bit boring for a while? Yes, that is also news – I have a new job and am set to start in August, straight after we arrive back from our trip, so I’m making the most of this last big holiday before settling down to reality. The plan is to drive around 3,000km during the three weeks and to see as many new places as possible and we really wanted to make sure to really take in the amazing German countryside along the way. For me, it will be the first time I have ever visited most of these places, and for Flo, it will be a chance to revisit some places from his childhood and a whole load of amazing new sights along the way. It’s really important to me to make sure Flo gets the opportunity to really appreciate his country, because I know it’s harder for him to move back to Germany and stop travelling, this way he can still be travelling and really appreciate the beauty of his home country by seeing it in a whole new light! We’re also excited to be taking in a real mixture of stunning European countryside and beautiful old cities – I love culture, heritage and history and it’s something I’ve really missed after spending so long in Australia. While Oz has it’s own kind of history and heritage, it doesn’t compare to the beauty of Europe’s old charm, winding streets and beautiful architecture. By having Hamburg as our home base, it really has opened up a whole heap of opportunities for us to travel while keeping things budget and time-friendly, we can really make the most of the three weeks and visit so many new places while never wasting time in airports! Of course, the most important question of all! I’m so excited to reveal that we will first be driving from Hamburg to Saxon-Switzerland National Park on the border of the Czech Republic where we plan to spend two days exploring the stunning park. We will then drive on to visit Prague, a city I have always wanted to visit especially since my trip to Budapest, then on to Austria where we will be stopping in Vienna and Prague and spending a day or two in each. As we drive through Austria, we’re also hoping to stop off in some beautiful places outside of the cities, taking in some of the gorgeous Austrian countryside. After this, we will drive to Munich where we will be based for around a week while we stay with Flo’s uncle, time will be spent catching up with family and taking plenty of day trips to nearby Neuschwanstein Castle, Bavaria and the Austrian lakes. Around this time we also plan to travel to Switzerland for two days to hopefully see Zurich and some of the countryside – I’ve always wanted to see Switzerland so I’m really excited for this – and possibly to Liechtenstein as well. The final week of our trip will see us driving back up towards Hamburg via The Black Forest and the legendary Fairytale Road which I can’t wait to see after our magical trip to the forests on Rügen Island in May. I even studied fairytales as part of my literature course at university, so seeing the places that inspired such stories will be amazing. We’ll be stopping in Frankfurt and also hope to visit the boyfriend’s grandmother on our way back up to our home in Hamburg to hopefully recover for a day or two before I start work and we come crashing back down to reality! As you read this, we will already be on the road and hopefully somewhere near Prague or Vienna! Naturally I’ll be capturing every moment on camera and will be sharing it all with you later on, but you can keep up to date with our adventures by following me on social media – Facebook, Twitter or Instagram – where I will still be posting updates from every step of the journey. I will still be posting twice-weekly on this blog while we are away – thanks to being super organised and managing to put together lots of lovely posts for you all – so be sure to keep checking on here for all the latest from my travels. In the meantime, I’m looking forward to a few weeks on the road with my amazing boyfriend and no laptop – sometimes it’s so necessary to just switch off for a while and to enjoy the people around you. So that’s exactly what I’m going to do. Out of office on. Engage holiday mode. See you in three weeks! Wow it sounds so cool ! It was amazing! Such an epic trip! 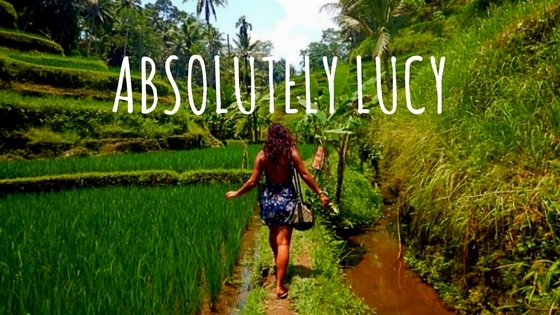 Can’t wait to see your adventure…will deffo be following your trip! Thanks Aimsy 🙂 it was an epic trip! Now I just have to find the time to write all about it! !